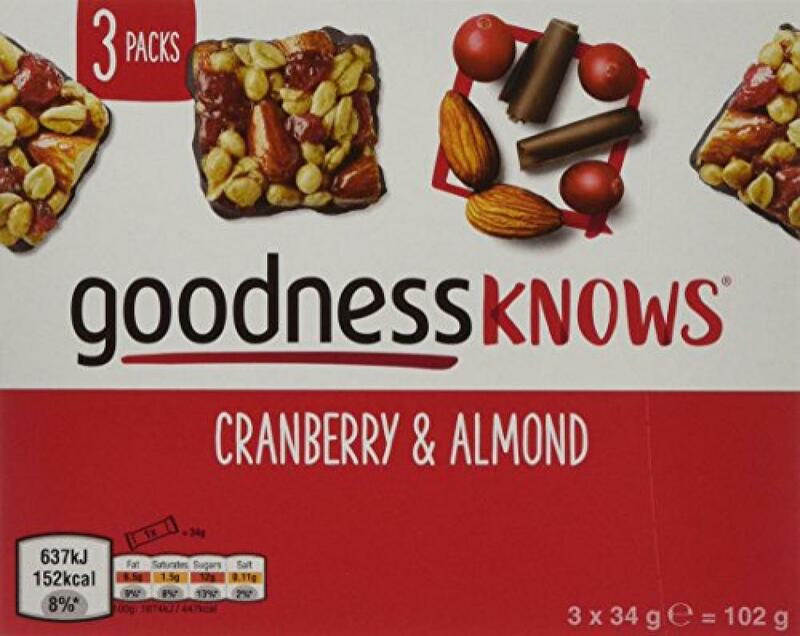 goodnessKNOWS is a delicious new treat designed to fit in with busy lifestyles. Comes in four snackable squares crammed with fruit, whole nuts, rolled oats and dipped in dark chocolate. Made using the best quality ingredients, with no artificial colours, flavours or preservatives, creating a great-tasting treat at under calories per bar.